The Idaho Falls Advertising Federation’s Lunch and Learn this month will be Wednesday, April 27, a different day than the usual Thursday but the organizers are promising a program that is worth the disruption to schedule. 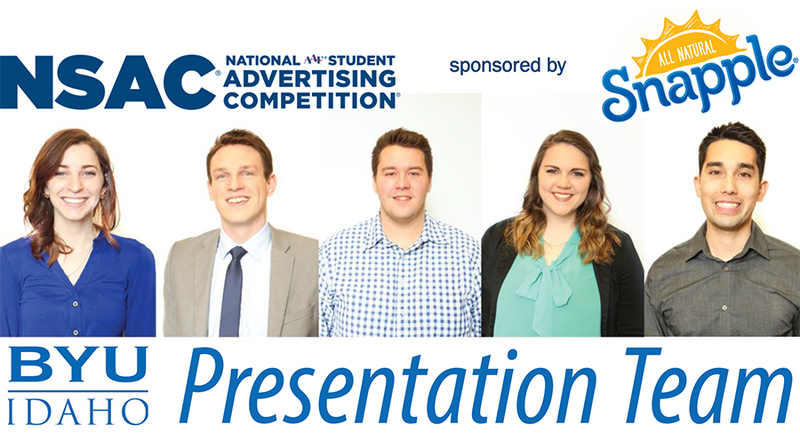 The guests will be the 2016 BYU-Idaho National Student Advertising Competition presentation team. 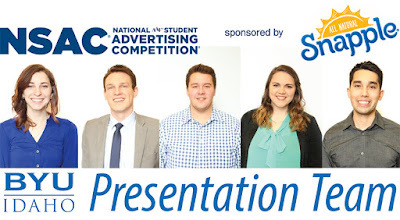 The team is presenting its pitch this week at the District XI NSAC in Bozeman. Next week they’ll be on hand to tell how they fared and give the presentation to Ad Fed members. The program is at 11:30 a.m. at Dixie’s Diner, 2150 Channing Way. Cost is $12 for IFAF members, $15 for non-members, and includes lunch. For more information, visit https://ifadfed.wordpress.com/.